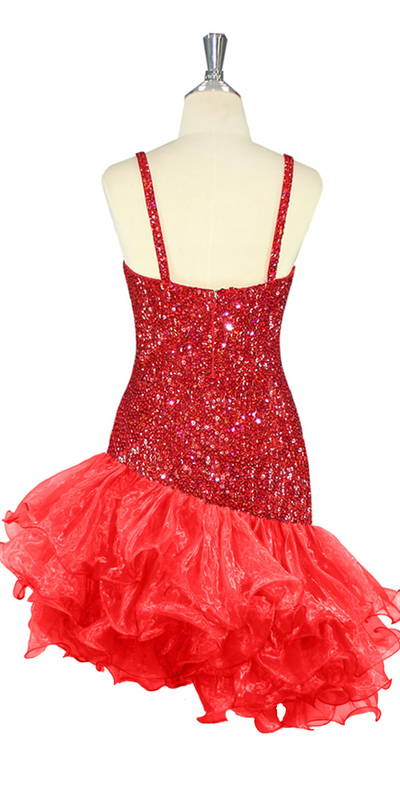 Short Handmade 8mm Cupped Sequin Dress in Hologram Dark Red with Organza Ruffled Diagonal Hemline. 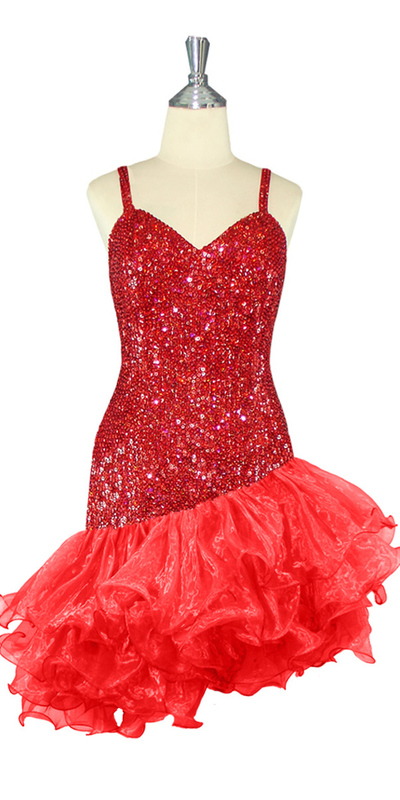 Perfect for birthday dresses, special occasion dresses, prom dresses, evening gowns, party dresses, plays, theater gowns, for stage performers, and for all types of pageants. 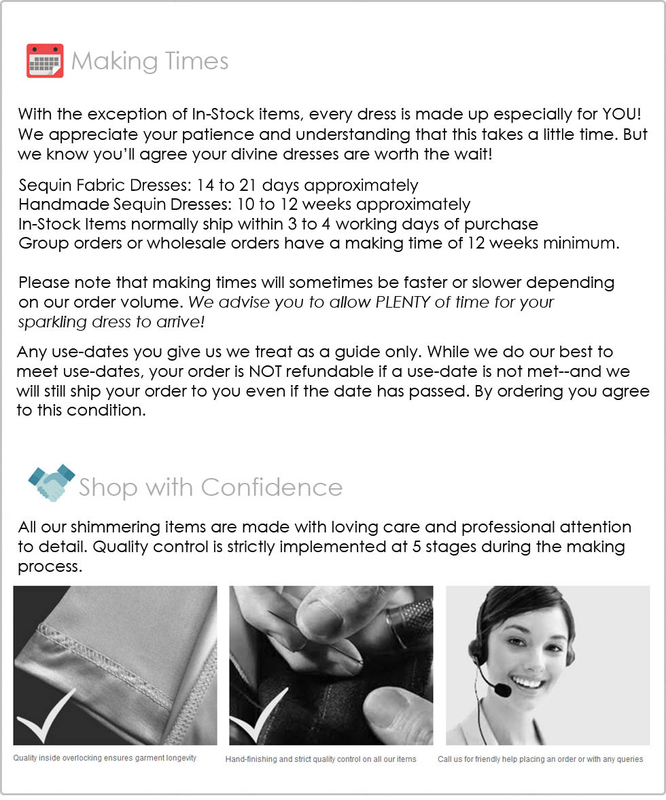 You may choose a standard size for this item, or send us your basic custom measurements (which means you can give us your preferred neckline plunge and overall length, for example). Care: Cold water delicates or hand wash: test first. Dry flat. Do not iron.